While it may be difficult to say just how much a home sale is affected by its staging (or lack thereof), no one can deny that it plays an active role in how buyers perceive the house. Most buyers aren't looking to spend their savings on a home that may feel unwelcoming or one that will require work from the moment a buyer moves in. 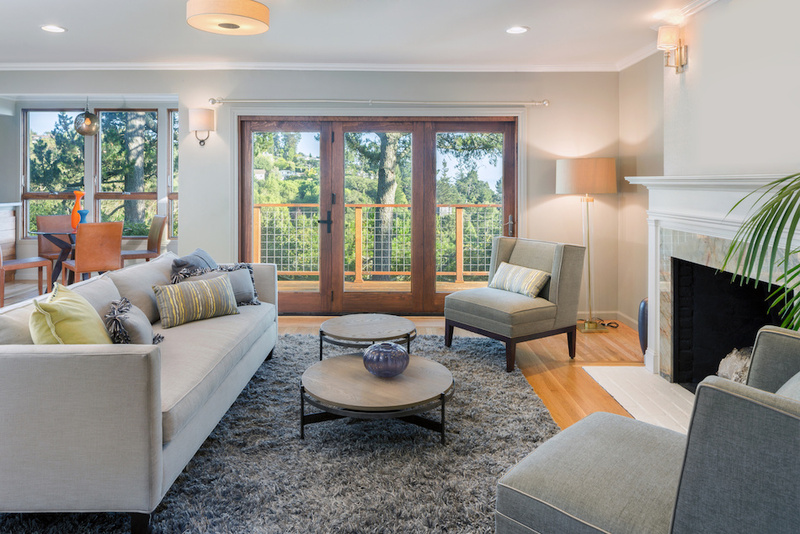 While proper staging may not double your home's price, it may be the key to a bidding war that ends in your favor. Staging a Clearwater home is more than gleaming floors and clutter-free rooms, it's about making the entire property look like new. Fresh paint on the siding, a new garage door, and colorful blooms in the flower bed are all just the tip of the iceberg. To stage a home, sellers have to remember what it feels like to be a buyer. In fact, sellers would benefit from going out to a few open houses and making note of their own first impressions of comparable homes. Unkempt yards or a crumbling driveway suggests to potential buyers that the home wasn't loved. Homes that have clean, matching furniture in the living room and a few whimsical decorations in the kitchen may leave an impression that lasts all day. And don't be afraid to rearrange the existing furniture to add additional space or color. The kitchen and the bathrooms deserve the most attention when staging simply because they're the rooms where the specific appliances and fixtures of the home count the most. However, it's important for sellers to remember the other rooms as well. Particularly, the dining room shouldn't be forgotten. To dress up a dining room, sellers need to do more than just leave their existing table as-is. Bring in flowers to place in the middle, and use chair coverings or cushions to make the dining room look like an inviting place to enjoy a meal. In addition, put artwork or supplies into every corner of the home, so that people get a sense of how every space can (and should be) used. For example, if a seller has a sitting space by a window, they can stage it as an inviting place for kids to finish their homework. Look for ways to maximize space whenever possible without ignoring utility. For example, use a pedestal sink in the bathroom to highlight the clean floor space below. Fill all closets up about 70 percent of the way, and keep them open for buyers as they stroll through. They can see how the closet is meant to be used and that it still has room in it for more. When it comes to color, buyers typically want to see a fairly boring color palette when they tour a home. There will be buyers who are bored by whites, grays, and creams, but not enough to justify making bold statements with color or definition. The master bedroom should be gender-neutral so that a couple can walk through it and imagine where their own things will go. In addition, consider who will be touring the home before making final decisions on staging. Only turn the extra bedrooms into tasteful children's rooms if you know that a young family is statistically more likely to buy the home than a single professional or a retired couple.